Lily plants, members of the genus Lilium, are bulbous perennials valued for their large, ornamental flowers and ease of care. The plants bloom during summer, producing flowers in shades of white, yellow, orange, pink and red, depending on the variety. Native to the northern hemisphere, lily plants are hardy in U.S. planting zones 3 through 9, though some types may be less tolerant of cold weather than others. The plants thrive throughout most of the U.S. with only minimal care. Plant lilies during fall from September through October in a location that receives full sunlight throughout the day. Spread a 3-inch layer of organic, weed-free compost over the planting site and use a garden tiller to work it into the soil. Space lilies 8 to 12 inches apart. Spread a 3-inch layer of mulch over the soil surrounding lily plants immediately after planting to insulate the soil from cold temperatures. Remove the mulch during early spring, just as lily shoots begin to emerge from the surface of the soil. Water lily plants once every week, allowing the soil to dry out slightly between applications. Reduce the frequency of watering to once every 10 days during winter, when the plants are not actively growing and require less moisture. Feed lilies once per year during spring, just before new growth begins. Use a 5-10-5 NPK slow-release fertilizer to gradually add nutrients to the soil throughout the year. Apply by following the manufacturer's instructions for the best results. 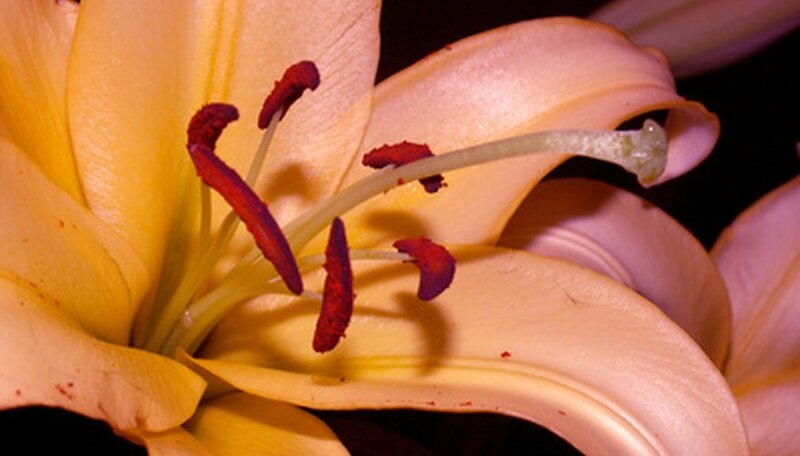 Remove faded or dead lily flowers whenever possible to prolong flowering and encourage the production of additional blossoms. Break off the flowers at their point of origin to maintain an attractive appearance and minimize damage to the plants. Water lily plants early in the day to reduce the risk of disease. Apply water directly to the soil instead of watering overhead for the best results. Use a heavy mulch to insulate the soil over winter, such as evergreen boughs or wood chips. Keep lily plants out of reach of cats, as consuming even a small amount of the plants can be fatal to felines.